More book results for "WJEC > Religious Studies"
The Cosmological Argument revision notes - Aquinas, Craig, Challenges, Quotes Revision notes I used for exam I got an A* in. Overview of the argument. Describes both Aquinas’ and Craig’s arguments using the correct terminology. Also includes the argumetns against the Cosmological argument as well as giving quotes to bacl up your own argument in essays. Problem of Evil Essay 2500 word essay on the Problem of Evil. Looks at classical and modern approaches to the problem. Evidential and Logical problem of evil covered. Includes works of Mackie, Augustine, Plantinga, and many more. Abundance of quotes to use for your own essays. Referencing throughout. Religious Experience Part 2 Notes for the WJEC Eduqas course, for philosophy of religion. Covers everything you need to know to answer 20 and 30 markers. Freud and Jung Notes for the WJEC Eduqas course, for philosophy of religion. Covers everything you need to know to answer 20 and 30 markers. 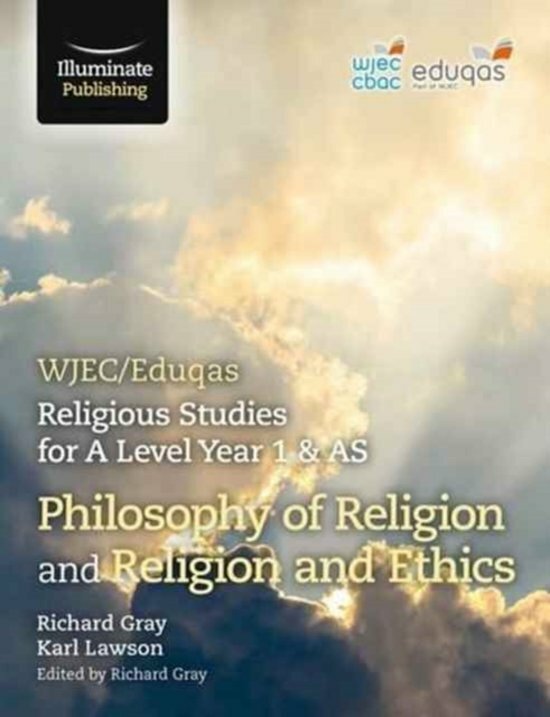 New Atheism Notes for the WJEC Eduqas course, for philosophy of religion. Covers everything you need to know to answer 20 and 30 markers. Miracles Notes for the WJEC Eduqas course, for philosophy of religion. Covers everything you need to know to answer 20 and 30 markers. The Problem of Evil and Suffering Notes for the WJEC Eduqas course, for philosophy of religion. Covers everything you need to know to answer 20 and 30 markers.